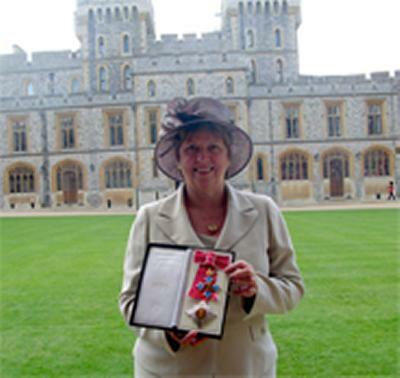 Computer expert, Professor Wendy Hall of the University of Southampton, was at Windsor Castle this week for her investiture as a Dame Commander of the Order of the British Empire (DBE). Dame Wendy received her honour for services to science and technology from Her Majesty The Queen. One of the world’s leading computer scientists, Wendy Hall was Head of the University’s School of Electronics and Computer Science from 2002 to 2007. Her influence on the development of computer science has been fundamental not only in her academic work and the many successful research initiatives in which she has been involved, but also for the large number of prominent roles she has held in the scientific and technological community. "I am thrilled to be honoured in this way," said Professor Hall. "It is a privilege for me personally and for my family, but it is also a tribute to all the people I have worked with in my career as a scientist and engineer both at Southampton and in the wider community."